Climb For A Cause seeks to encourage adventure travel as a means of supporting dental and oral health education and treatment initiatives in developing countries and domestically where the need is most acute. Our Events are an opportunity for particpants to leverage their philanthropic efforts while simultaneously using this “Cause-Related Marketing Vehicle ” to achieve their practice growth objectives. From this page you will be able to explore the facets of this unique and worthwhile opportunity. Working with CFAC you will quickly understand how you can participate in an exciting Climb for a Cause Event in a way that makes sense for you. Whether you accept the challenge personally, support a practice representative, or sign on as a SmileTree Branch Office, the difference you will make in your life and lives of others is HUGE! Let’s explore a true “win win” idea in detail. For most of us, the last thing we need now is more work. That’s why Climb For A Cause is designed to require little effort on your part to ensure success. 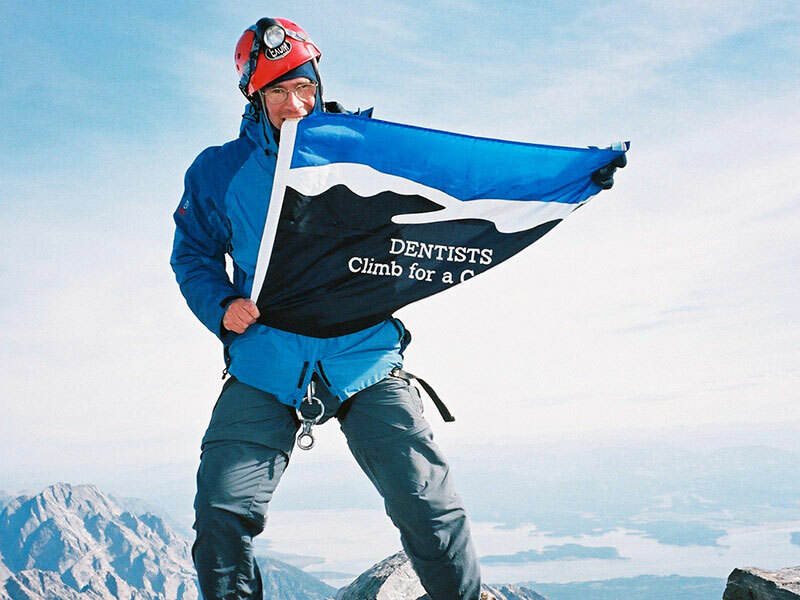 Climb for a Cause with assistance from AIM Dental Marketing can help you choose the kind of involvement that is consistent with your interests and abilities. You may choose to be a Full Participant, Non-Hiking Participant, Supporter of A Team Representative, or support us by being a SmileTree Branch Office. Our executive director will be happy to help you decide the kind of involvement that is best for you. If you decide to join us on our Annual Hiking Event, we handle the logistics, e.g.development of an individualized training regimen, booking accommodations, securing hiking permits, etc. Climb for a Cause with assistance from AIM Dental Marketing designs and distributes promotional material intended to encourage participation in your Fund Raising Event. Support includes: assistance with contacting local establishments to donate: food; entertainment; raffle and silent auction prizes; design, print and distribution of invitations; etc We provide you with in-office display items, press releases, your own Registration Web Page, and much more! Think of us are your niche PR firm. If you already retain the services of a public relations firm or practice consultant, we can work with them to get these special announcements out to your various “publics,” and create a “buzz” around your practice. Best of all, you can make it an Annual Event, and turbo-charge your fund raising and practice promotion efforts, all while having a great time meeting new people and cultivating relationships with your current patients. Just let us organize your Send-off Party or Post-Climb Celebration, and see just how “high” you and your practice can go!. Remember: It’s never too early to plan your Climb For A Cause Party. The sooner you start, the sooner you see the benefit, and the more you help the Cause! Read what a recent CFAC participant has written about her experience.